E1, E2 and E8 completed on Monday, just 209 to do and I've completed all of AH's routes end-to-end. I've done routes E10, E11, H17 and H18. Did the full routes of 13, 83 and E1 today and part-route of 282, E2, E3 and E10. I did the 13 end to end a few times when it had SLE's, haven't rode it since it got the B5LH's. Same with the 83, done it end to end when it had the B7TL Gemini's but not since it got its boring B9TL's. You should do the 13 with the VHs as they are fast, the one I got was really good. 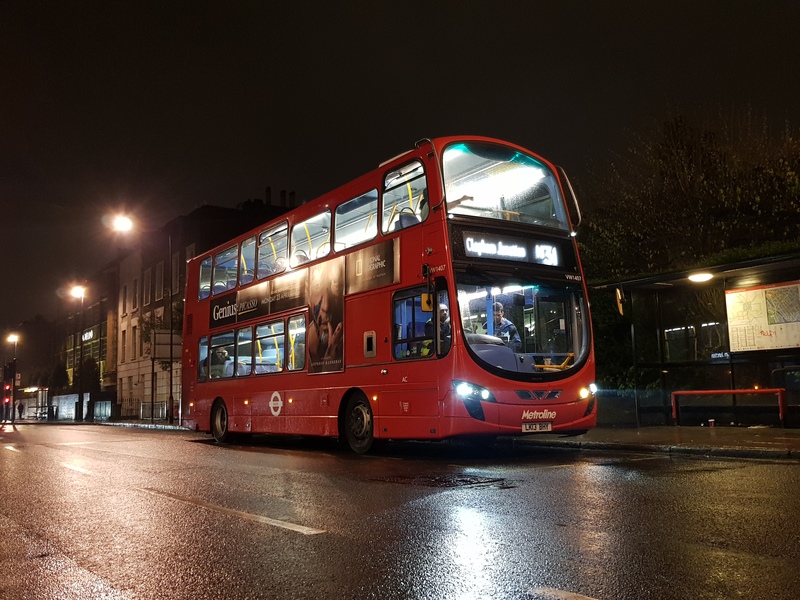 The 83 also with the bus I got was fast aswell especially in places like Hendon, Wembley and Kingsbury although the bus kept on rattling. That sounds like the odd 21 bus I get now and then. It's weird how the 59 plate B9TLs a so loud compared to the 60 plate ones and above. 385 done today end to end meaning all routes in Waltham Forest are done. 202 routes done in full, 198 in part, 341 not done at all. 50% of my annual travelcard now used up - in just over 3.5 months. I've done 102, 107 and 204. How was the 204? I remember seeing a few go by when I was in North London on Saturday. The drivers seem to go quite fast. It was great the drive revit really fast. I've done the 204 before but not the full route. On Saturday, I rode the E1 & E10 for the first time and end to end. So that makes it three E routes done end to end (E7 was done when it still had X reg Marshalls). Did the full route of 521 today.